We were three little Black girls from Detroit, Michigan, living in the projects, daring to dream big. Flashback 1964–The Ed Sullivan Show— three beautiful, elegant, impeccably dressed young women with hair that was perfectly coiffed, mesmerized us as they performed their latest smash hit, Come See About Me. 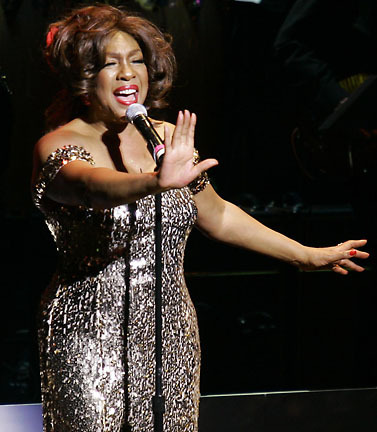 One of the founding members of this Motown hit machine, the Supremes, is the iconic Mary Wilson, who was the anchor that kept the girl group going for years after several member changes. Daughter of Sam and Johnnie Mae Wilson, the Greenville, Mississippi native moved around with her family from St. Louis, to Chicago and finally settling by age nine in the Brewster-Douglass projects in Detroit where her music career was launched. As teens, Mary, Florence Ballard, Diana Ross and Betty McGlown formed the singing group, the Primettes, a sister act to the all-male Primes with future Temptations members, Paul Williams and Eddie Kendricks. 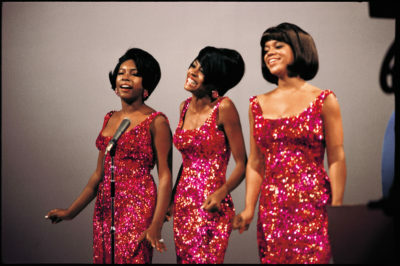 In 1961, The Primettes were signed to Motown with the agreement that they would change their name. The group finally decided upon the name, the Supremes. Shortly after the signing, McGlown got engaged, left the group and was replaced by Barbara Martin. The group became a trio in 1962 when Martin exited. 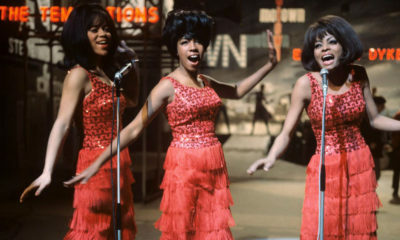 The Supremes were a female force to be reckoned with and help put Motown on the map, producing 12 U.S. number one hits between 1964 and 1969 including an unprecedented five consecutive chart toppers. Where Did Our Love Go?, Baby Love, Stop! In the Name of Love, and Love Child, gave the young women a meteoric rise. The Supremes traveled the world and performed for royalty. The group dominated radio airplay and became one of America’s most successful singing groups in recording history. 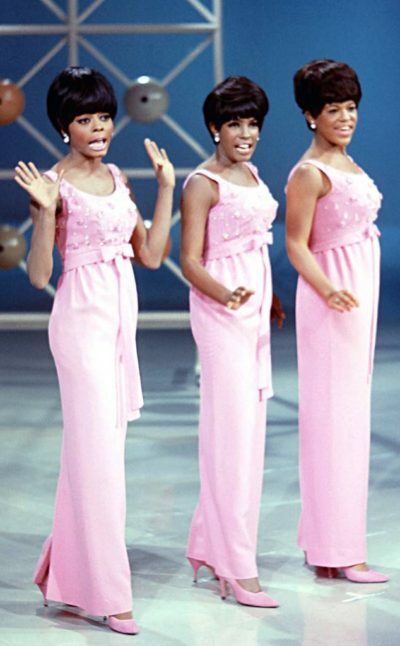 The Supremes were also style trendsetters, commandeering red carpets everywhere. The riveting stage wardrobe of the Supremes was a major expense but well worth it. The ladies injected chic sophistication to the R&B world with their style which also eclipsed most of their white counterparts on the concert stages. Lavish outfits with beading and thousands of sequins could cost between $1,000-$2,000 dollars each in the 1960s which was very extravagant in those days. 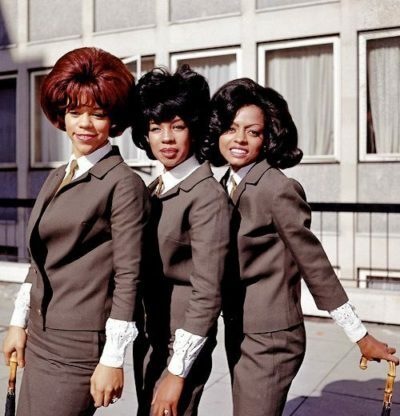 The women were meticulously styled by Motown’s Berry Gordy and his associates in order to appeal to the widest possible audience. With Diana Ross’ departure in 1970, the Supremes had changed members more than a few times and finally in 1977, the group disbanded. 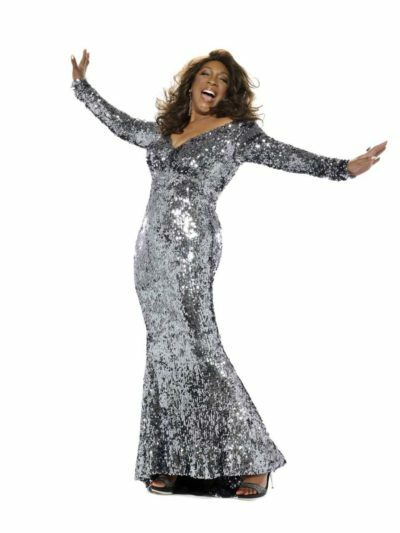 Besides continuing to perform a solo act, Mary has authored two best-selling memoirs, Dreamgirl: My Life as a Supreme and Supreme Faith: Someday We’ll Be Together. In 1988, Mary along with Diana and Florence were inducted into The Rock and Roll Hall of Fame. Besides her life as a Supreme, Mary married Pedro Ferrer in 1974 but the couple divorced in 1981. The marriage produced three children, Turkessa, Pedro Jr. and Rafael. Mary also adopted her cousin’s son, Willie. On January 29, 1994, Mary was driving her Jeep Cherokee and was accompanied by her 14-year-old son Rafael when they met a horrific car accident. Mary lost control of her vehicle and crashed into a highway median. She suffered a broken collarbone, injured her ribs and punctured a lung. Unfortunately, Rafael did not survive the accident. Mary persevered after the accident. 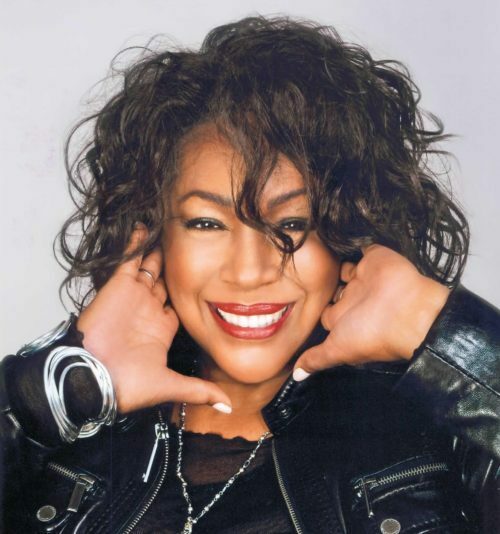 She continued with her solo career, and in 2015 her song “Time to Move On” has climbed to #23 on the Billboard dance charts, which marked her first time on the charts with a solo recording, since the Supremes. These days, Mary is focusing on humanitarian efforts; she has raised millions for HIV/AIDS awareness and has also worked to end homelessness and child abuse. She is a motivational lecturer, often encouraging young people to pursue their dreams. In 2003, she was named by then U.S. Secretary of State, Colin Powell to serve as a U.S. Cultural Ambassador to the world. Mary also has testified before legislatures in Massachusetts, California and Washington, D.C. about the need for Truth in Music laws. She and the National Foundation for Women Legislators pushed to get the bill passed in Michigan, Illinois and other states. Mary campaigned to get support for the legislation in Nevada, Missouri and Texas. Mary is certainly aging backwards, still gorgeous and dazzling and at age 74-years-young, the musical icon is just happy being in her own skin. She’s lived an enviable, glamorous life but with its fair share of twists and turns. Through it all, Mary still manages to keep smiling because she knows the best is yet to come. 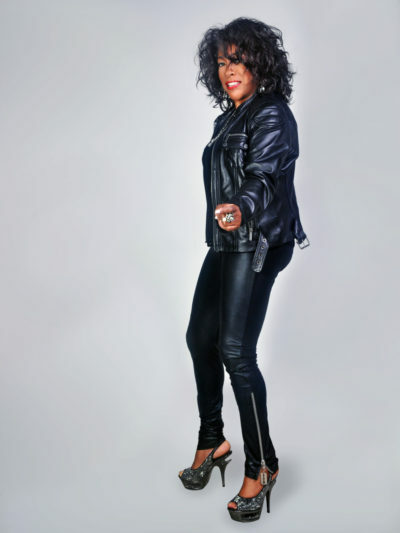 Mary Wilson let us peek into her world when she recently chatted with 50BOLD. 50BOLD: Can you please give us three career highlights? Mary: The first would be in 1959. I was about 14-years-old and met Diane, Florence and Betty; it was a life-changing moment. Meeting these girls was the start of my becoming a performer. That was sixty years ago. Motown is celebrating its 60th anniversary this year. I would not be who I am today had I not met them and became one of the Primettes. The other career highlight was when we signed to Motown Records. We really dared to dream big at only 16-years-old. We were three little Black girls from Detroit, Michigan, living in the projects, daring to dream big and going to this record company. No one came out to discover us. We went to the source and we found Motown. We sat out there on those Motown steps for days, months, trying to get in their front door; this definitely was the second biggest moment in my life. There are many, many thirds. When I had my children, this moment was the next miracle. Growing up, you had to get a job. Back in the day, women had to get married and have children but I couldn’t do this because I had become famous. It took me a long time before I was able to make that dream of a white picket fence come true in my life. I was 34 when I got married, and the miracle was having my children; I didn’t know this was going to happen for me. Being happily married, having children, plus maintaining a successful career were big achievements for me. 50BOLD: What did you like best about performing in an all-girl group? Mary: Well, I don’t know what it’s like being in a group with men. Gladys Knight was accompanied by the Pips and this was a great thing. She and I are still friends. But a girl group, I’ve always been a girlie girl. I’m 74-years-old and I still enjoy hanging out with girls, I really do. The best thing for me about being in a girl group was that we loved dressing up and looking pretty! 50BOLD: Ms. Wilson, what has been your greatest challenge as an artist? Mary: One of my greatest challenges as an artist was to get people to see that we were serious as a group. We were very, very serious as artists! It took a while for Mr. Gordy to realize how serious we were about the business end of the entertainment business. Back then, it was truly a man’s world, so we didn’t really question anything; we just did as we were told. Now, some 50 years later, I’m just finding my own voice. My biggest challenge as a performer was individuality. It was very difficult being in a group. I had to bend a lot and I noticed people around me who weren’t as flexible as I was. Another huge challenge for me as an artist was being able to be my authentic myself in a group setting. 50BOLD: You recently performed in New York City. Mary: Yes, I performed at the Café Carlyle in New York. 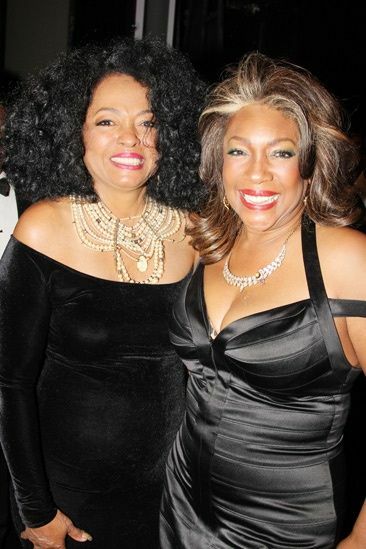 I did another show recently in Hollywood at the Catalina Jazz Club and my divas were there–Freda Payne, Anna Maria Horsford–my girlfriends came to support me. They’ve never really seen me do this kind of intimate performing. People know me as a Supreme but this is not who I am now as a singer. The challenge for me now is to really grow into my own talent, which I’ve only just started to do. It took me a lifetime to be my own individual. It’s been a lifelong journey to get to where I am now, front and center. You know, I never really thought of myself as a singer. I use to think of myself as more of a performer. Florence and Diane really had the voices in the group. I brought up the rear. 50BOLD: Ms. Wilson, what inspires you most in life? Mary: Life inspires me! I’ve always loved life and my inspiration is this journey that I’m on, as I try to juggle all that is placed before me. Having fun while doing something that I love inspires me, it makes the effort worthwhile. It is hard to have fun all the time but I always try to inject some of it into what I do. It is important at this stage of the game to gift myself with some happy! 50BOLD: I love what you’re saying about gifting yourself with happiness because life is so short! Mary: Yes, happiness is a gift. I don’t want to go to a party, for example, and be the only one having fun. I want everyone else to have fun as well. I am really inspired by other people’s happiness. 50BOLD: Sixty years in the music industry is a long time, to what do you credit your longevity? Mary: I just love what I do and try to have fun doing it, which is why I stayed the course for sixty years! I like constructing things and need for everything in my life to be in balance. Unfortunately, having balance in one’s life is not always going to happen, unless you make a conscious effort to make it happen. 50BOLD: What does Mary Wilson not put up with these days? Mary: Know this about me; I don’t want anyone telling me what to do because for most of my life, I have been told what to do. I don’t like using the word hate, however, the one thing that I do hate is for anyone to tell me what to do. I pretty much know what to do, and I don’t always do it but trust, and believe I know what I need to do! 50BOLD: Growing up in Motown, you were surrounded by such fine men as David Ruffin, Smokey Robinson, Eddie Kendricks, Marvin Gaye, did you have any crushes on any of those Motown men? Mary: Everybody at Motown had crushes on everybody there! Mary: Oh, yes. You see, we were like a little village. Motown was our village and our love pool. A lot of people at Motown got married. Smokey married Claudette. Bobby Rogers from the Miracles got married to one of the Marvelettes, Wanda Young. I was actually engaged to one of The Four Tops. 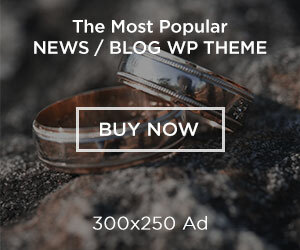 50BOLD: For real? Do you want to say his name? Mary: Abdul “Duke” Fakir, one of the founding members of The Four Tops (and also the last surviving member) and I were engaged. He was the love of my life. You know, we were all so young. He went on and got married to someone else and he and his wife have been married for years and years. It’s all good. We are all friends now. We’re just friends… (laughingly, she starts singing the lyrics to the jazz standard “Just Friends: Just friends, lovers no more, just friends, but not like before…”). Everyone wanted to be at Motown. Marvin Gaye was one of the handsomest guys there. The men at Motown were ALL so handsome, like the Temps were all tall. The Tops, Marvin, even the writers, they would all hang out and play football and basketball together. Diana and Mary are still friends despite the rumors. 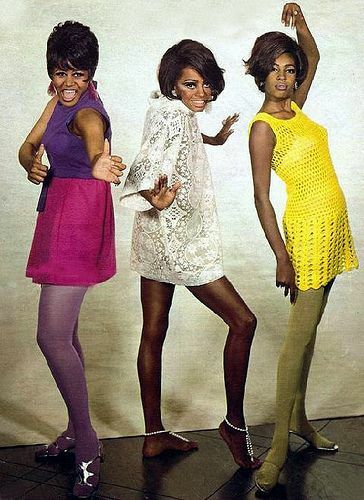 50BOLD: Now, what about the beautiful women of Motown was there a kind of camaraderie or was the environment catty? Mary: You would think there would be cattiness but the environment there was not! There were certain people who just didn’t get along. We got along pretty well. Claudette Robinson, the woman Smokey married, who was also in the Miracles was older than us by maybe two years. She was the one we all looked up to back then. Martha Reeves and I would always room together when we’d go out on those Motown Revues. I remember one time Gladys Horton of the Marvelettes was recording their first hit record, Please, Mr. Postman. We hung around to observe the group record. And the Marvelettes would, in turn, observe our recording sessions. Gladys was having a little trouble with one of the lines in the Please, Mr. Postman song and Florence offered to give her a few pointers. Sometimes when one male group was recording, other male group members would offer to help them in some way if needed. Being a singer at Motown at the time was like being at Disneyland, a thrill a minute! 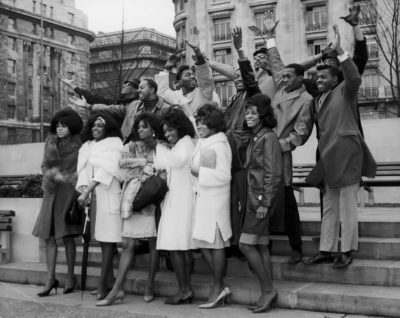 50BOLD: Wow, being part of the Motown family must have been like being in Heaven! Mary: It really was a wonderful time. 50BOLD: Ms. Wilson, what makes you happy these days? Mary: This past weekend I had that wonderful engagement in Hollywood at the Catalina Jazz Club. All of my friends came up. I never really work in L.A. a lot. I’m happy when I have a great show and people can see what I am doing now. Having a wonderful show is so gratifying. It’s just a wonderful experience to be doing what I enjoy doing and to see people really getting it; this still excites me. There are those who say, “She’s been doing it. What’s so exciting about it?” Well, my response to these people is that I have grown as a singer. What also excites me is that I’m taking acting and voice-over classes and still take singing lessons. I work with a woman named Lucy who is still training my voice. And of course, my eleven grandchildren, and my children bring me such joy. My son, Pedrico, Jr., and my daughter Turkessa are very content with their lives and this makes me extremely happy! 50BOLD: Do you have a favorite Supreme song? Mary: People ask me this question all the time! The reason I hesitate to answer about which Supreme song is my favorite is because the songs are like my children. I love them all. When I’m on stage I get a lot of enjoyment from so many of the songs we recorded like, My World is Empty Without You. When we were young, we were just singing the song, they were just records. Now, when I sing them, they have more meaning because of my life experiences. Some of the great songs like Reflections and Baby Love, people really get a charge out of hearing these tunes. 50BOLD: What advice can you pass on to other artists that you learned early on in your career? Mary: Be really sure you enjoy what you do because it’s day-to-day. I still enjoy what I do even sixty years later. Enjoy doing what you’ve chosen to do because you’ll have to work hard at it. 50BOLD: Gone are the days of Motown, would you agree? Mary: There are so many talented singers today, but there are no more Motown’s out there. I would ideally like to start a school to help aspiring recording artists, but I’m so busy still working on myself. It would be so wonderful to have a school that truly nurtures talent similar to Motown’s artist development. A Motown model is something that is so needed today to help those great talents travel down the right path. 50BOLD: Sadly, those Motown days are gone. And speaking of Motown, are you still friendly with any Motowners like Diana Ross, Cindy Birdsong, Stevie Wonder, Martha Reeves, or Berry Gordy? Mary: Oh yes, I am still friendly with most of the names you mentioned. Martha Reeves and I perform together all the time. I really don’t speak to Mr. Gordy too much because he’s like a mega star these days. I don’t really speak to Diane as much, but we’re still friends. All of us are friends, but some of us are closer than others. We are all on different paths. And my life is so full these days that I don’t even have time for some of my very own family members. 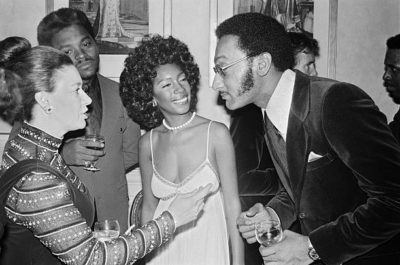 Mary: One thing about Motown, we really, really did like and respect one another for the most part. There might have been some negative things said or done in the past, but after fifty years, I don’t think anyone is holding on to any grudges. 50BOLD: Ms. Wilson, if you could give your younger self some advice, what would it be? Mary: If I had to give my younger self some advice…hmmm…I would tell myself to not be so gullible. I had my little rose-colored glasses on and only viewed things how I wanted to see them. I believed everyone was good, everyone was nice, and everyone was looking out for me. I would probably tell myself to not be so trusting. When you’re younger you don’t have the wisdom to see things the way they truly are. I wish I had more wisdom back then. 50BOLD: Ms. Wilson, I admire you. You are beautiful and still performing. It is wonderful! You know what I like about you is that you’re positive, you’re happy. You don’t seem like a bitter person. I like that. What is that something about you most people don’t know? Mary: My gift is that I am a positive person; I know I was born this way. I can laugh, even when I’m sad. I have lived my life, the ups and down, and through it all, I still manage to maintain my happy. I’m thankful that God made me the way I am, and I can’t change even if I wanted to do so. 50BOLD: How would you like to be remembered? Mary: What you saw is what you got and that was Mary!